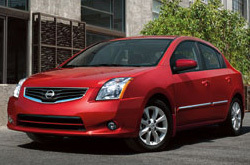 Scroll past the 2013 Nissan Sentra review video below to start reading about the new Sentra. Stop worring about your next Nissan purchase; look to the well-known Sentra franchise in Dallas - Fort Worth for well researched reviews authored by automotive enthusiasts. We're your Nissan Sentra dealer; this article will help you learn everything you need to know about the Nissan Sentra in Dallas - Fort Worth. Happy hunting! When considering the 2013 Nissan Sentra alongside the 2013 Hyundai Elantra, Chevrolet Cruze, Honda Civic and the Ford Focus, and you can notice that the Sentra outshines those autos in quite a few parts. Scan the hightlights below. Want even more info about features? If so, click here! Your Nissan deserves to be treated with the utmost care - that means Nissan factory- trained Sentra technicians, the sense of bliss that comes from a 1 year service work warranty and actual Nissan Sentra parts. Texas Nissan service and Nissan repair in Dallas - Fort Worth is a double click away! Nissans in Dallas - Fort Worth can take a shellacking, so turn to the auto repair hot shots in Dallas - Fort Worth - Texas Nissan. The following is merely a small percentage of what we handle: timing belt checkups, transmission repairs, windshield wiper replacement and much more. We also handle a diverse set of supplementary services. 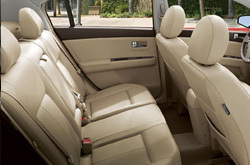 Texas Nissan's got your back for all Nissan Sentra maintenances in Dallas - Fort Worth, including simple factory recommended services. Click the subsequent link to be transported to Texas Nissan's service coupons.